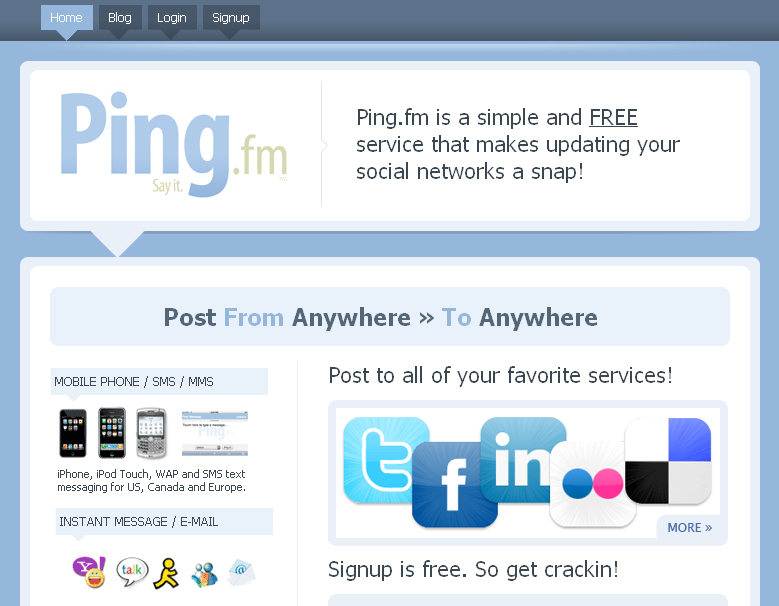 Tweets, Status, Digg and More, Ping.fm Could Be Your Answer! With so many new social networking sites being launched and becoming more popular it is common to see many internet users especially internet marketers with a profile at each. 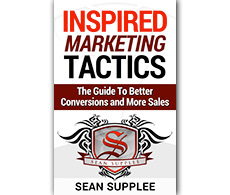 I myself hold a facebook, twitter, digg and linkedin account along with countless other smaller networking sites. While it allows me to connect with different people on each the difficulty is the time it takes to manage each of them and stay connected with everyone that follows me. 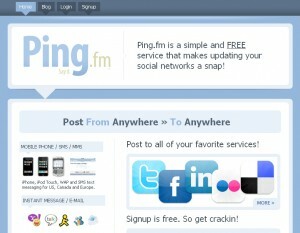 A website called Ping.fm allows you to create an account and tie all of your networking sites together. You are able to access your profiles from anywhere and gives you a central site in which you can update your status and have it appear on all of your social networking sites. 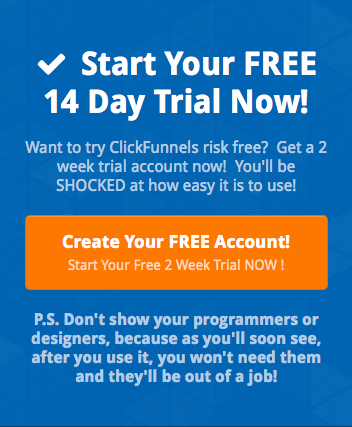 This is a great way to save time and allows everyone to keep up to date with you on a new product your launching or just what your doing in your everyday life. There have been a number of sites which have tried doing this already including Hellotxt and Socialthing. While ping.fm is a new program it takes after older ones but provides some interesting goodies that set it apart. It fulfills a substantial need, works properly, and even possesses a real business model that can save you and your company time when communicating to the new social networking community.